The average price of a gallon of self-serve regular gasoline in San Diego County dropped one-tenth of a cent Wednesday to $3.311, one day after rising one-tenth of a cent. The average price is 1.1 cents more than one week ago and 7.1 cents higher than one month ago, but 8.5 cents less than one year ago, according to figures from the AAA and Oil Price Information Service. Marie Montgomery of the Automobile Club of Southern California described the average price as stable. 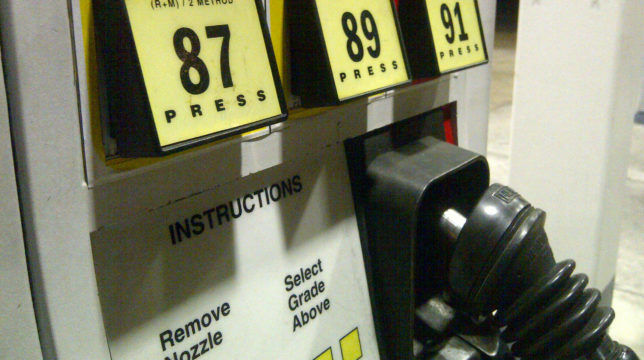 “The switch to summer blend gasoline is already reflected in the current price averages, but some of that increase was canceled out by plentiful supply and lower demand during the recent Southern California rainstorms,” Montgomery told City News Service.